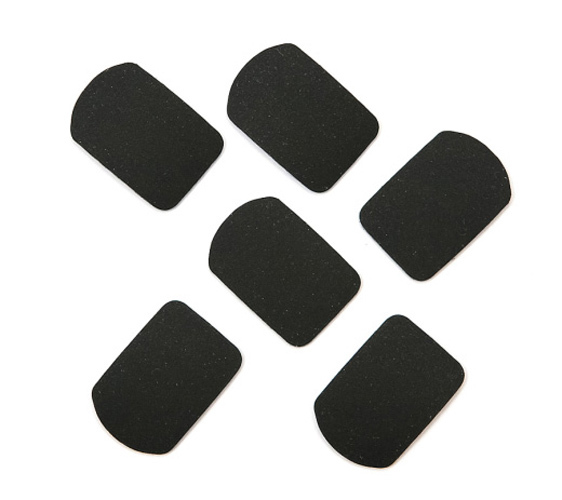 These narrow Windcraft black rubber style patches are suitable for smaller Woodwind mouthpieces like clarinet or soprano sax and they help protect the mouthpiece from teethmarks and also they provide stability for the teeth when playing. *Please Note: Items sold individually. Picture shown as example only. Narrow design suitable for Bb Clarinet, Eb Clarinet, Soprano Sax or metal Sax mouthpieces. Prevents teeth from slipping on mouthpiece. A good cushioned mouthpiece patch. Just the right level,of cushioning - I don't like to get teeth marks on the mouthpiece. It also helps the sound (for me anyway).